In 2009 FIRST threw a curveball, the playing surface (which up to this point had been carpet every year (except for 1992 when it was corn kernels)) was now a slick, polycarbonate surface, and the robots had to use a specific wheel also made of a slick polycarbonate material. This had much the same effect as giving someone roller skates and then sending them onto an ice rink to play basketball. The game itself involved picking up Orbit balls (a ball made of interwoven plastic rings, you can see one in the shooter of the robot) and shooting them into rolling goals that had been attached to the opposing robots, while avoiding the opposing robots shooting Orbit balls into the goal attached to your own robot. 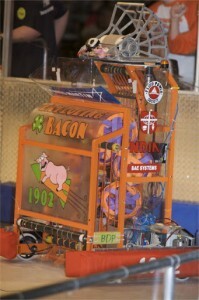 This game dynamic rewarded any team who could achieve a semblance of traction on the low friction surface and many teams tried to accomplish this by putting a large fan on the back of their ‘bot. 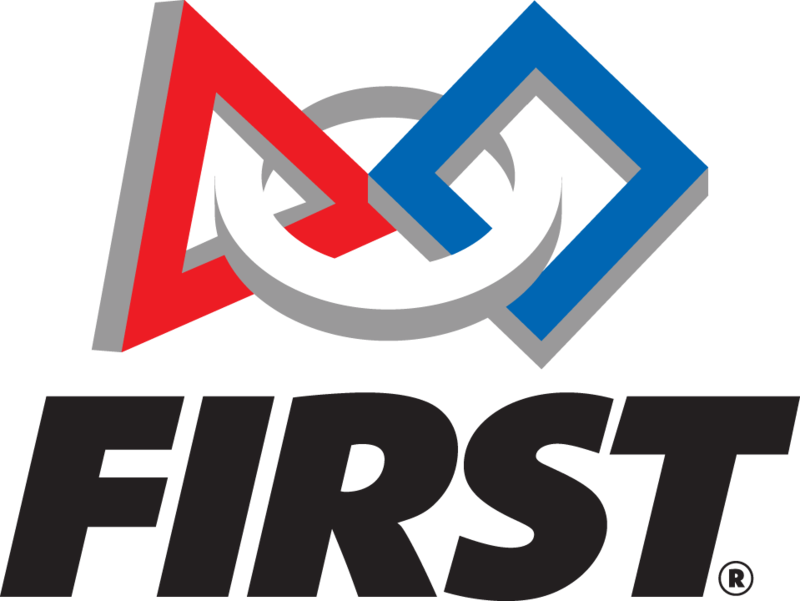 1902 (in collaboration with 1251(Tech Tigers) and 408 (Techno Ticks)) decided to focus instead on software to achieve added grip of our 2009 robot (BDP). Using an encoder (a sensor that tracks rotation) attached to a small free-spinning wheel under the center of the robot, the CRiO (aka ‘Robot Brain’) could track what its actual forward motion was at any given time, it would then use encoders attached to the drive wheels to keep track of how much they were spinning in relation to where we wanted to go. For instance if the wheels were spinning forward full speed and the free-spinning wheel read that the robot was going backwards, it knew we had a problem. The use of this system is that the driver could use the sticks like one normally would when driving the robot on carpet and the robot would automatically adjust the speed to spin the wheels to maintain maximum traction on the floor. Because of this software we were able to maintain a very physical type of gameplay that allowed BDP to get close to the goals and push them where we wanted them. BDP went on to become Bacon’s first ever Regional Champion robot at the Connecticut regional.